The trademarked tasty treat name. 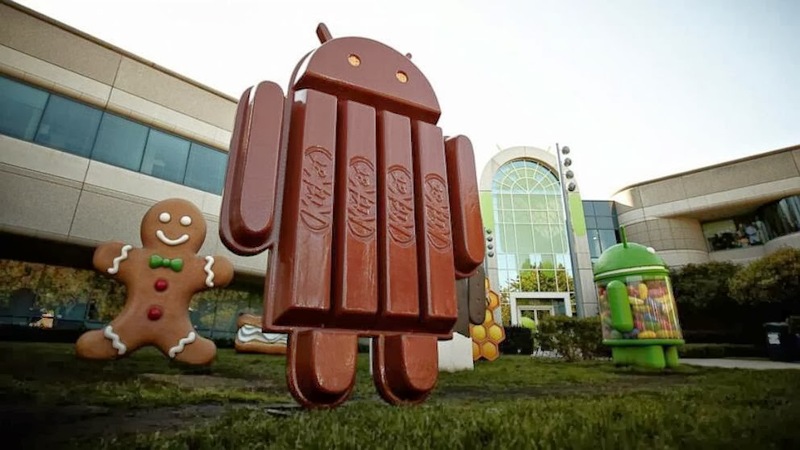 As many already know, Google's Android has had a history of naming their alphabetically progressing releases after tasty treats, such as Donut, Froyo and Jellybean, carefully choosing generic, non-branded names. For their most recent release, however, they surprised all of us that were expecting Keylime Pie by announcing Kit-Kat. I am always eager to get my hands on the newest releases, but I had to take pause at this announcement. I will admit, I experienced several stages of loss, which is a very odd feeling to be having at the announcement of something great. But I was not alone, disbelief and anger at Google 'selling out' become the meme of the day. Acceptance was not had until the OTA (Over the Air) update finally arrived on my device(s) last week. Battery life: Ha, that is what you expected me to say. Truth is, I do not want to talk about battery life at this time, I would rather talk about easter eggs. In your standard Android OS settings, under About Tablet (About Phone), click Android Version several times quickly and you will be rewarded with greatness... K. Not "ok", or "okay", I mean "K." My wife's immediate response at this point was, "well, that was disappointing!" Be patient, there is more. 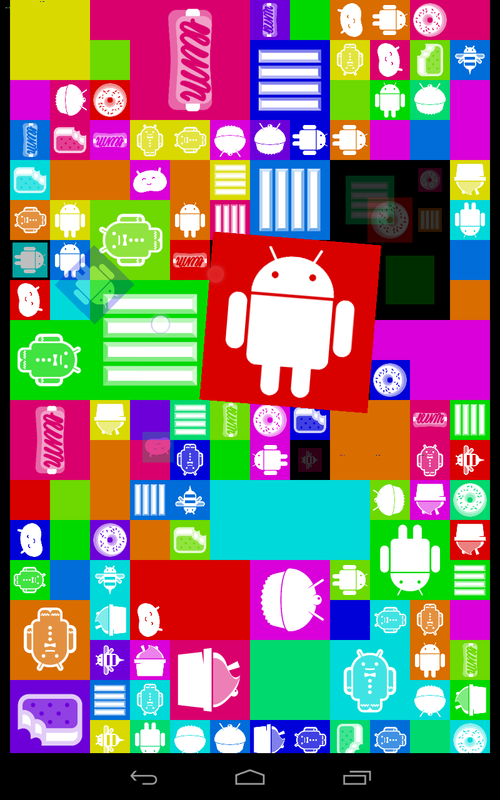 Now, press and hold the screen (we call that a long press) you will be rewarded again, this time what looks like the Kit-Kat candy bar logo but with the word Android. Now was my turn to feel underwhelmed... But the Android crew is better than this, I tell myself, as I click again. Nothing. 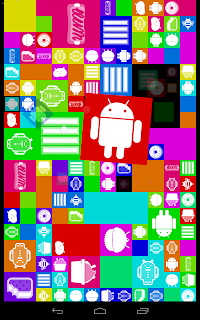 Long press again - there it is, a wall of tiles containing the logos of the previous treat versions of Android - cool! Part 1 of multiple... Please check back later for more impressions and an actual review of Android 4.4.